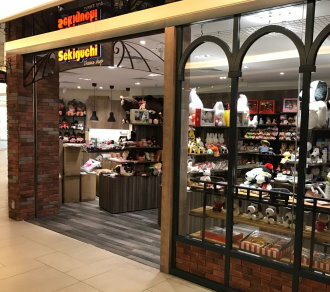 Sekiguchi Theme Shop is a gift and toy store but not an ordinary one. From time to time, we change window displays to bring some festive atmosphere as well as the latest products to the public. Thankfully, many shoppers enjoy watching and even taking pictures of them. Although we are often recognized as a local Monchhichi store, we sell not only Monchhichi products but also a wide range of genuine and quality products which are chic and hot in Japan. Are you looking for something special for your lover, friends or yourselves? Please do not hesitate to visit us.